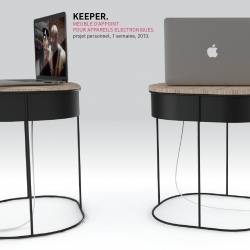 Keeper by designer Joris Bonnesoeur is a smart cable keeper that provides organization in your living space. 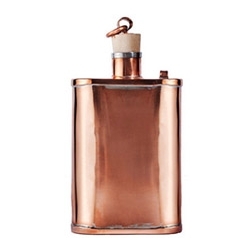 The Great American Pure Copper Flask by Jacob Bromwell. 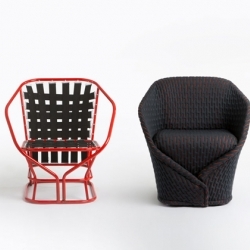 'Bella' outdoor furniture by design studio Carsten Astheimer. 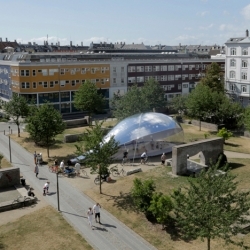 An inflatable pavilion that looks like a soap bubble, by architects Plastique Fantastique, has been popping up around Copenhagen. 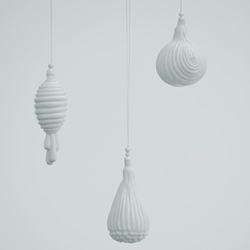 Hanging decoration 'Hives' are made from thin layer of porcelain, lightweight, but still solid. By Pet Punk Lab. 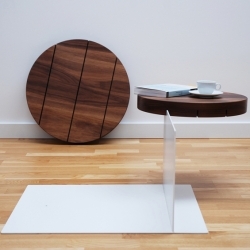 'Sur le Fil' Table by Polish designer Pawel Grobelny, presented during the Paris Design Week 2013. 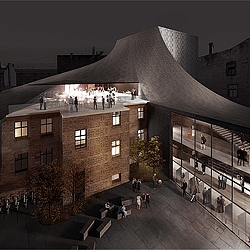 'Show Under Skin' -The New Riga Theater Reconstruction Competition honorable mention project by Latvian architects NRJA. 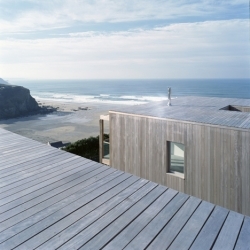 British firm Simon Conder Associates built two wooden houses into the side of a steep hill in the English coastal village of Porthtowan. 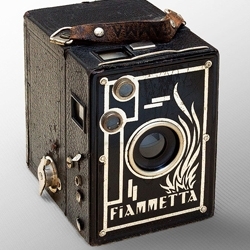 The Fiammetta Camera is a splendid, black parallelepiped, perfect for catching clouds. Its metallic body hides a yellow filter that highlights contrasts in the sky when the weather turns rough. 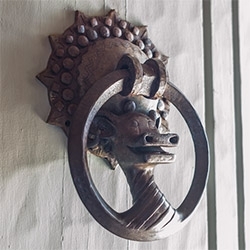 Fantastic door knocker at the Timberline Lodge in Oregon ~ fun pics from Eclectic Cool. 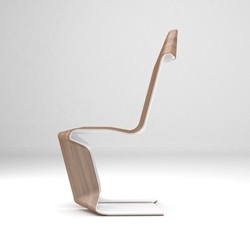 A4 Chair by violent volumes is designed by folding a single piece of plank. 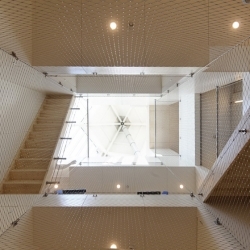 Dutch studio Personal Architecture renovated a Piet Bloms iconic Cube House in Rotterdam to create a residence for delinquents in their final stages of detention. 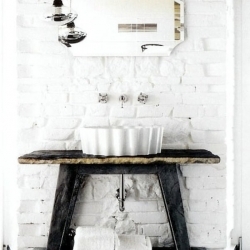 Industrial designer and interior architect Paola Navone renovated and redesigned this beautiful farmhouse of hotelier Andrea Falkner Campi in Spello, Umbria. 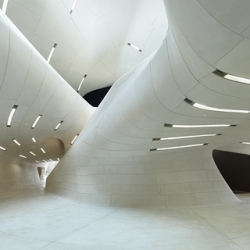 The Louisiana State Museum and Sports Hall of Fame is a new museum that is configured to interpret athletics as a component of cultural history. 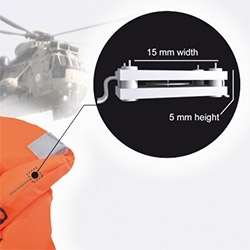 Agitate a self-charging miniaturised device which generates a radio signal that can be tracked up to an estimated 200 kilometres away. Fascinating tech. 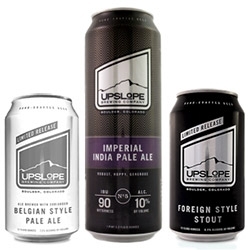 Upslope Brewing has lovely minimal can designs. Morning! Lovely minimalist iPad app to get you going in the mornings. 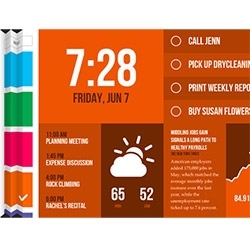 8 customizable panels for whatever you'd like. 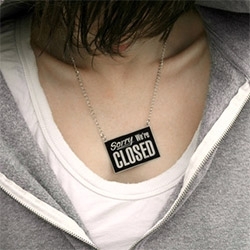 Domino's commissioned Seattle’s graypants studio, to create new items using outdated merchandises. The team paired pizza and Pac-Man for a one-of-a-kind lighting fixture. 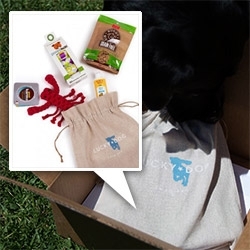 FEATUREDPetswag's Lucky Dog Swag Bag is a fun bag of treats where the proceeds go to a good cause! 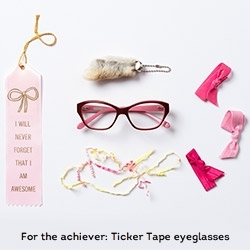 Contents are re-curated monthly and make a great gift. 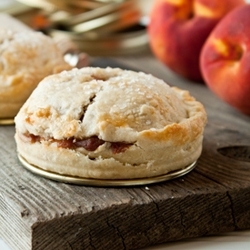 Take a peek inside! 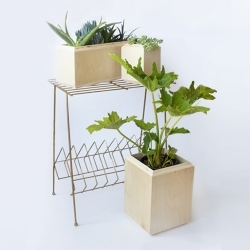 New family of geometric, birch ply planter boxes from Yield Design, designed in San Francisco, made in the United States. 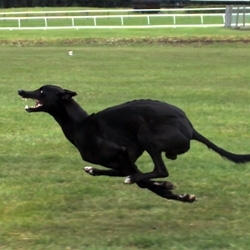 VIDEOCheetah vs Greyhound - World's Fastest Dog In Super Slow Motion by Earth Unplugged, films these extremely fast animals with high speed cameras, breaks down their movements, and how they achieve such speed. CLOUD 7, upscale pet brand from Berlin presents the newest entry in their stylish and minimal designed collection. 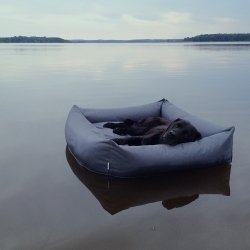 Their classic Dog Bed 'Sleepy' now also in waterproof version. 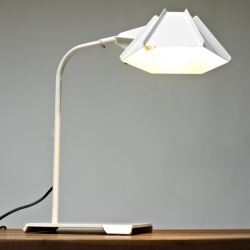 The Hex Desk Lamp has a spot welded shade constructed of bent sheet metal that spins and rotates to bring you light where you need it. 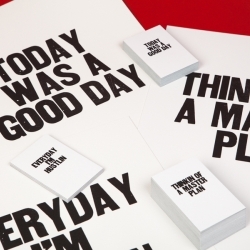 Paper Jam Press posters are now a business card collection! Arianna Orland teamed up with MOO and created these stunning Moo Luxe Cards. 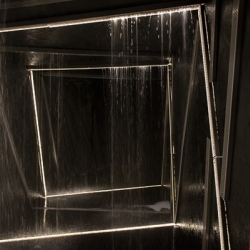 Interactive water tunnel installation by Rice Daubney was designed for the launch of Marc Newson's collection for Stormtech, a drain manufacturer. 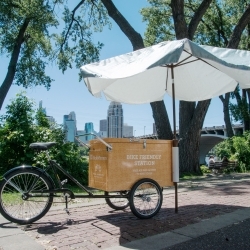 GPS-enabled tune-up bike roamed paths and trails in Minneapolis, with fast, free tune ups for bikers this summer. Easily located by cyclists through GPS and mobile-friendly site. 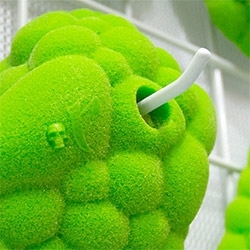 By Colle+McVoy for Pedal MN. 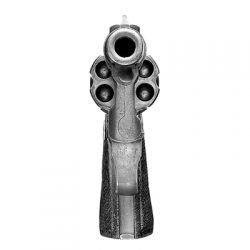 Point Blank: An ongoing photography project by Peter Andrew, Simon Duffy, and Derek Blais. 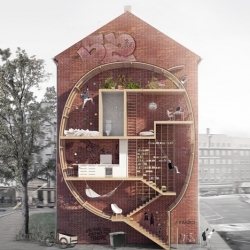 Two Denmark architects have designed a concept for narrow apartments that fill tiny gaps between existing buildings. 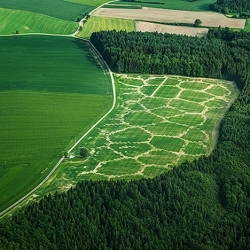 Royal College of Art graduate Benedikt Groß has digitally "printed" a field with a pattern of oats and wild flowers. 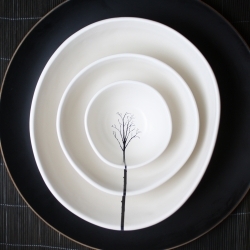 Beautiful Tree Silhouette Nesting Bowls from Glenn Tebble Homewares. Hand Made in Melbourne, Australia. 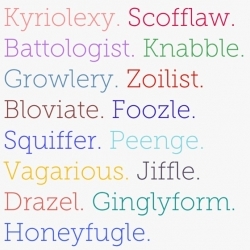 Lexican - A collection of old and unusual words. 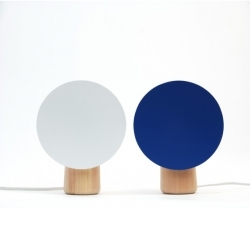 'Shelf Lamp' by Norwegian designer Andreas Engesvik. 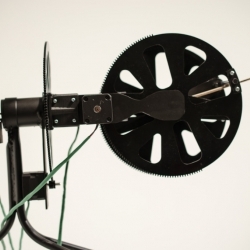 VIDEOHuman Harp Turns Bridges Into Musical Instruments. 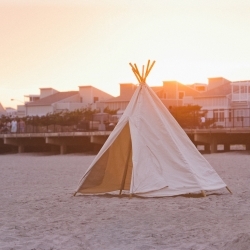 The Wave Wam Teepee by Indoek is a 10 ounce cotton canvas tent that is ideal for relaxing, reading, or even sleeping at the beach. 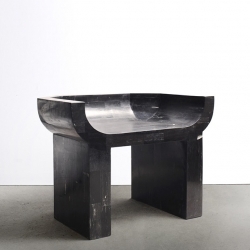 The fashion designer Rick Owens presents 'Prehistoric', his new furniture collection at the Carpenters Workshop Gallery in London. 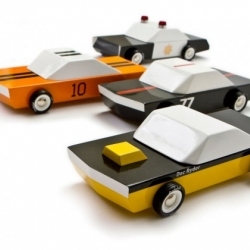 This amazing series of wooden toy cars is called MO-TO. Inspired by classic muscle cars and with an amazing love for details each piece is incredible. 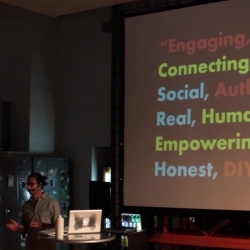 Bend is a revolutionary take on the age old art of steam bending wood. 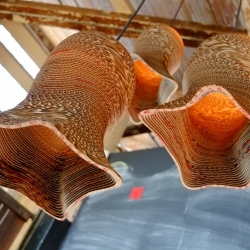 It is able to take a computer generated form and translate it autonomously from a wooden strip using an Arduino controlled 3D bending process. The No. 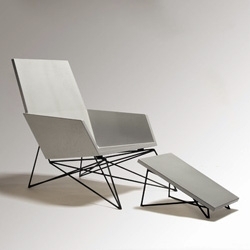 002: Modern Muskoka Chair by Hard Goods is made from thin cast concrete and an intricately welded base. You can also purchase the matching ottoman. JCrew exclusive collaboration with Montreal-based WANT Les Essentiels de la Vie! 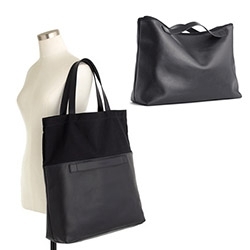 Love that this leather clutch can turn into a big super-useful tote! Part of their new Discovered collection! 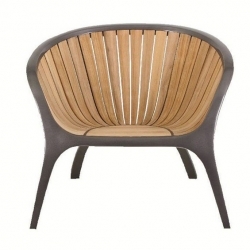 Named after a type of cloak, the seat describes the chairs construction with a softly padded textile around lightweight metal framework, mirroring the way a coat would wrap the body. 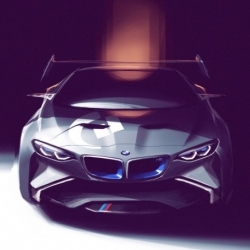 BMW Group Design developed this breathtaking concept car with all the motorsports pedigree of BMW. And it'll be only a virtual concept, because it's gonna show up in Gran Turismo. 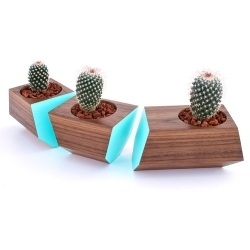 The Boxcar succulent planter. Plant with style. Made in the RDH shop in SE Portland, each Boxcar features grain-matched hardwood and is perfect for any window sill or table centerpiece. 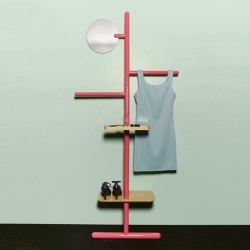 'Camerino' valet by English designers Brose ~ Fogale.